Ran across this bedroom set on Pinterest that was pinned. 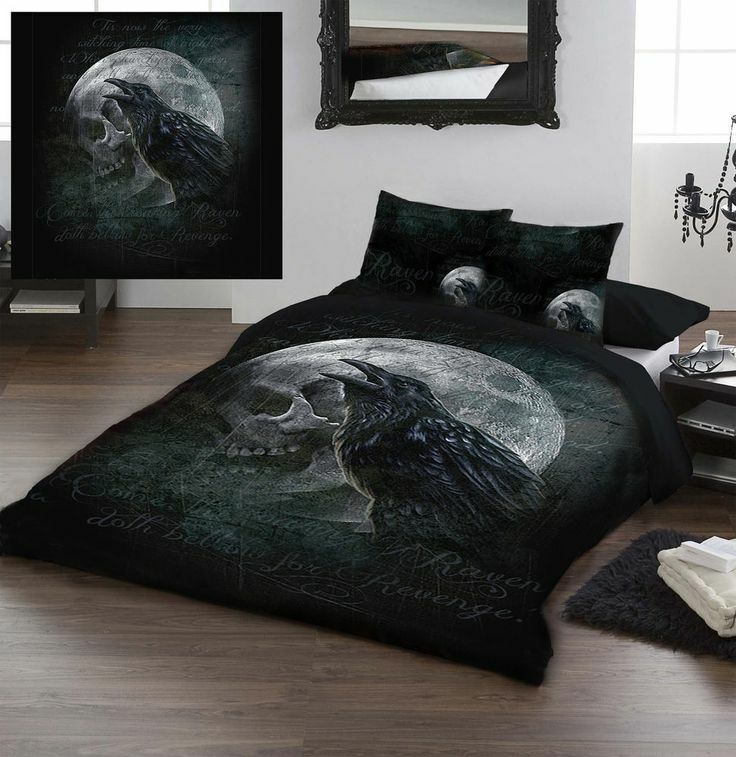 It’s called ‘Ravens Curse’ by Alchemy Gothic Kingsize Bed Duvet Set Pagan/Wiccan/Goth Style. Someone had pinned it from Ebay. I do not know whether to love it or hate it but one thing is sure, it is pretty cool. My favorite design by Alchemy Gothic, is there Edgar Allan Poe themed bed set called Nevermore. I love that one. I see quite a few Alchemy Gothic décor sets on sale at Amazon, and directly at Alchemy Gothic you can always find super cool Gothic seemed jewelry, accessories, and gift items in various mystic themes. As far as witchcraft spells go, there is a notorious spell in the lore called Raven’s curse. This dark spell is done in the dark of night and the spell chants are foreboding, including phrases such as black on black, my powers to “kill the one who dared cross me, this is divine will”. This is way too heavy of a spell and will not be posted here. It may bring you bad karma to wish ill on an enemy so such spells that have an intention to harm, rather than bring good things to you and your loved ones, are better left unsaid.